Approximately eight miles to the gallon. Unless you drove with the lightest of touches, that was all my Firebird could muster. I knew I was imagining it but I felt I could practically see the fuel gauge drop fractionally with every revolution of the 6.6-litre V8’s crank. I didn’t expect it to be economical, mind, as the 450bhp Pontiac had been built for drag racing. Its subsequent complete lack of creature comforts, in conjunction with its almost comical inefficiency, made regular usage about as financially viable and as realistic as reliably operating a Tu-144. I wasn’t going to sell it, as it was just too much fun, but I did want an interesting car I could use more often to sit alongside it. 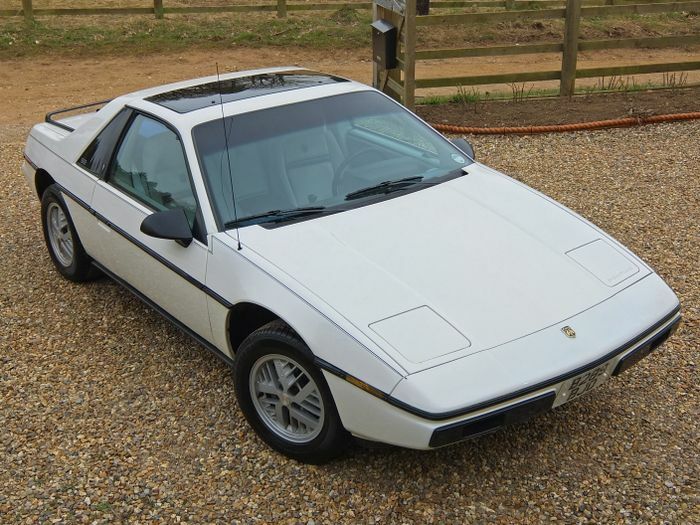 As luck would have it, trawling through the classifieds one evening, an affordable option caught my eye – a smart-looking 1985 Pontiac Fiero 2M4 SE. This ‘2-seat, Mid-engined, 4-cylinder’ Pontiac would be an interesting counterpoint to the heavy-hitting Firebird and, usefully, it was reputed to average 40mpg on a run. The more I read about it, the more it intrigued me; its angular panels were formed from reinforced composite plastics, so exterior corrosion wasn’t an issue, and it benefitted from independent suspension and disc brakes all round. The Elise-sized Pontiac was also relatively light, clocking in at just 1136kg. I knew these cars were not without their foibles but there’s nothing better and more interesting than first-hand experience, so I rolled the dice and bought the car blind for £1100. Nothing ventured, nothing gained, after all. 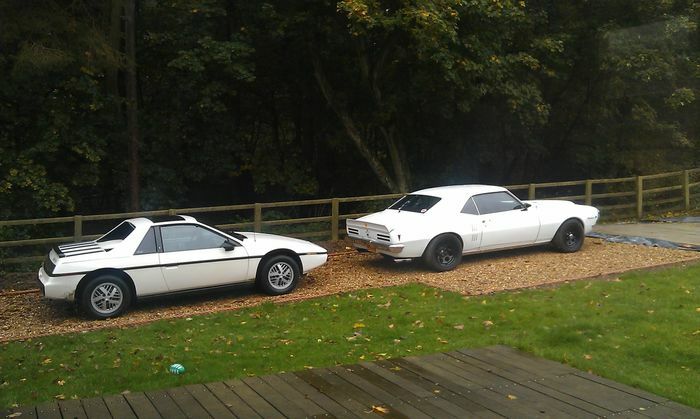 A few days later, out of the thick autumn fog, a little white Fiero burbled onto the drive. What first struck me was how well it had stood the test of time. Despite having covered 156,485 miles, and with 27 years under its belt at that point, it was still sharp and presentable. It was also comfortable, with supportive seats and an ergonomic cabin. Sure, the instrument cluster and stalks were made from a grade of plastic reminiscent of a kid’s lunchbox, but the interior was otherwise quiet and free from rattles. 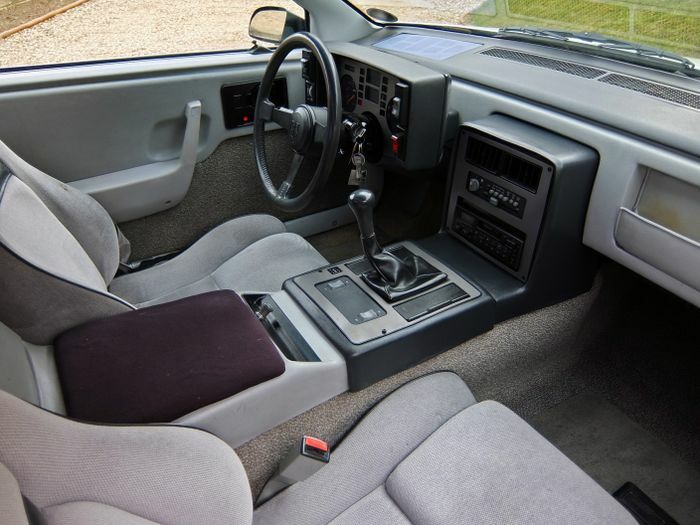 Slung low in those snug seats, it was remarkable to then find that there were some European traits to how the Fiero performed. Its unassisted steering was slick and precise, although hefty when parking, while decent grip levels allowed it to tackle corners at a swift pace. It didn’t roll much, either, and it rode well at motorway speeds. The Isuzu-sourced five-speed manual gearbox also served up a precise, albeit long, shift. 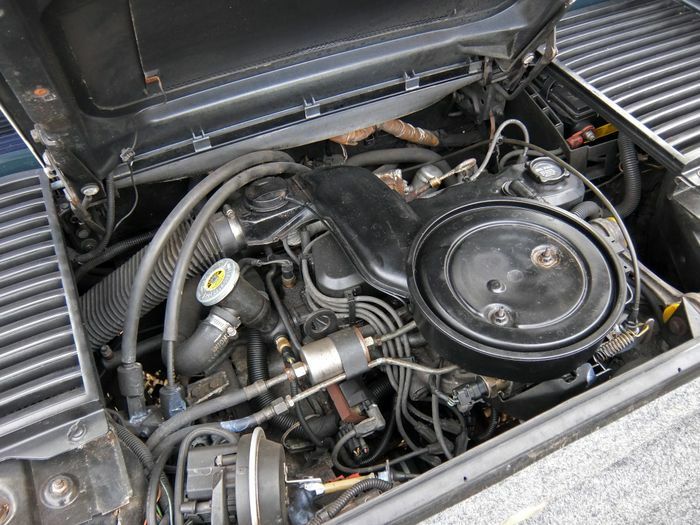 What quickly blunted the fun, however, was the 2.5-litre four-cylinder engine. Pontiac had a tight budget for the Fiero project, leading it to adopt existing powerplants instead of producing a bespoke one. Unfortunately, the only suitable four-cylinder engine it had to hand was a unit nicknamed the ‘Iron Duke’. 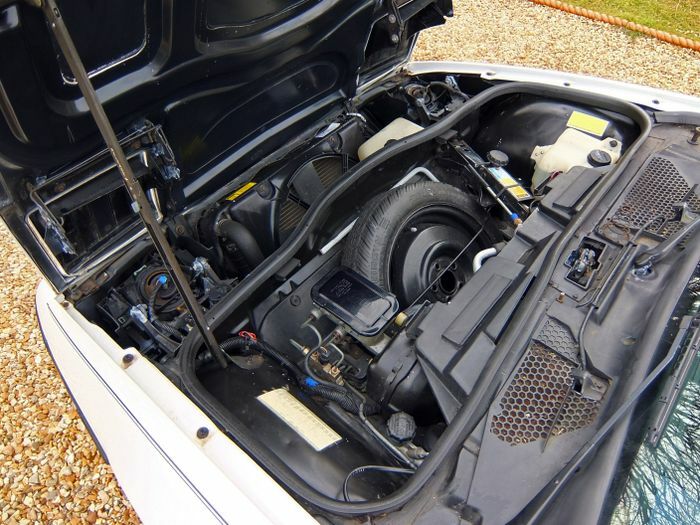 Besides being a cast-iron anchor, the throttle body-injected ‘LR8’ engine produced just 92bhp at 4400rpm. 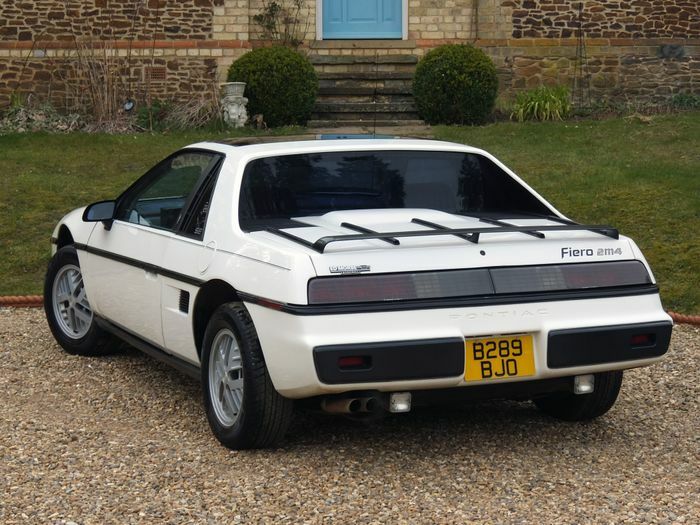 Consequently, its lacklustre performance was a complete mismatch for the featherweight Fiero it found itself in. The only compensation was a fairly stout 134lb ft at 2800rpm but, even with the engine wound out to its maximum, the Fiero could only clock a 0-60mph time around 11 seconds. The LR8 would become increasingly vocal and rough above 3500rpm, too, making it clear – in conjunction with an almost ever-present ‘Shift Up’ light – that sedate, steady driving was preferred. Instead of being a fun compact sports car, as a result, the Fiero was more of an intriguing two-seat runabout. That said, even in its ageing state, it did prove frugal and reliable. Many service parts were also available off the shelf in the UK but, if you needed something more obscure, it was only a matter of days away thanks to US-based outlets such as RockAuto and Summit Racing. Every time I heard that Iron Duke turn over, though, my enthusiasm for the Fiero would falter. Its unwillingness to rev, its lack of verve and its monotone exhaust note curtailed any outright entertainment. Fuel efficiency was no compensation, either, particularly when the far more evocative and powerful second-gen MR2 could return similar figures. The crying shame is that, for the planned 1990 model year, a new 190bhp 16-valve four-cylinder engine was earmarked for the Fiero. So equipped, the interestingly engineered Pontiac would have stood a far better chance against the likes of the MR2 – and could have finally lived up to Pontiac’s slogan of ‘We Build Excitement’. Alas, slumping sales led GM to discontinue the Fiero in 1988. The saving grace of this experience? 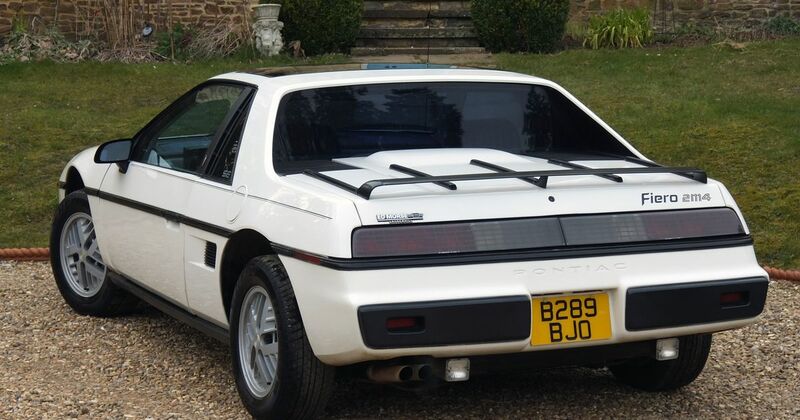 Having spent nothing on the car, and ticked a box on the ownership list, several months later I put the Fiero back on eBay – where it promptly sold for £200 more than I bought it for. Something ventured, then, and something gained.